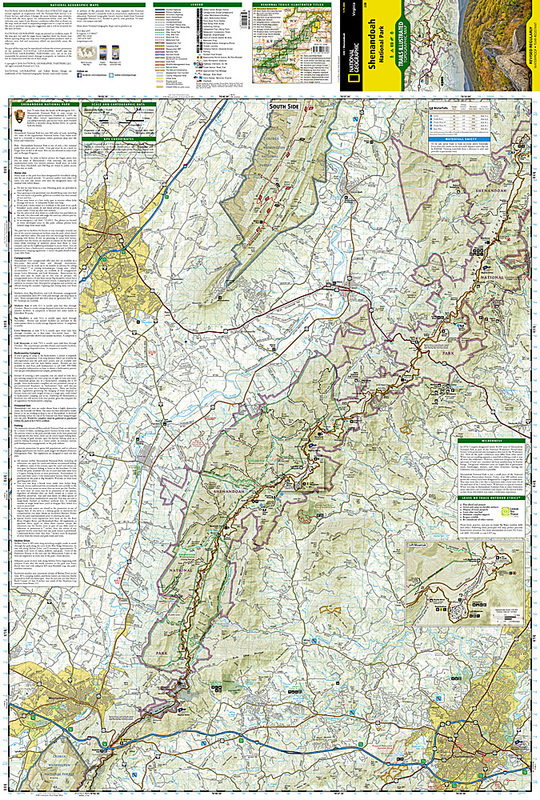 Shenandoah National Park Map [ti228] - $10.95 : Trail Explorers Outpost, Keeping the Adventure Alive! Expertly researched and created in partnership with local land management agencies, National Geographic’s Trails Illustrated map of Shenandoah National Park provides an unparalleled tool for exploring this beautiful park. Particular attention is shown to camping, hiking, fishing, ranger programs, and horse use in the park; and a handy chart of waterfalls provides height, location, hiking distance, and elevation gain for hikers. 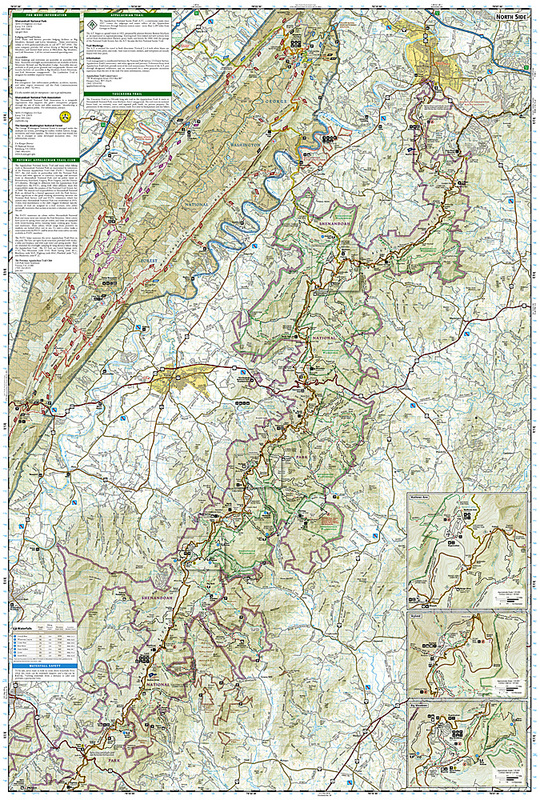 The print map includes insets of Loft Mountain, Mathews Arm – Elkwallow, Skyland, and Big Meadows. With miles of clearly marked trails including the Tuscarora, Appalachian, and Massanutten Mountain trails, and the scenic roadways Skyline Drive and Virginia Scenic Byway, this map will prove invaluable whether you’re taking in the scenery on foot or by car. Many recreation features are noted as well, including interpretive trails, archery ranges, ski areas, cabins, and boat launches. The map base includes contour lines and elevations for summits.